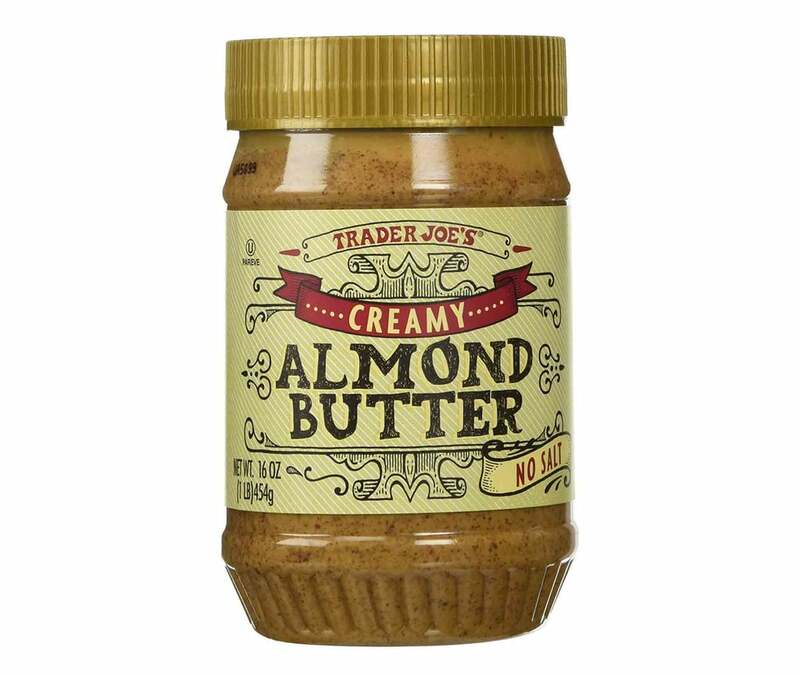 Trader Joe's is your one-stop shop for eating healthy. Not only is the store chock-full of seasonal produce and a variety of cuts of meat, but it also has some fun (and healthy!) seasonings, snacks, frozen food, and other packaged goodies. We tapped some registered dietitians to find out their favorite finds at the wildly popular grocery store. 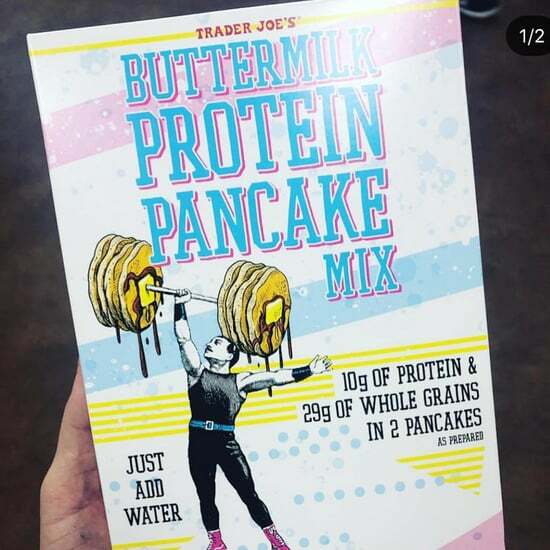 Next time you hit up Trader Joe's, be sure to stock up on these staples. 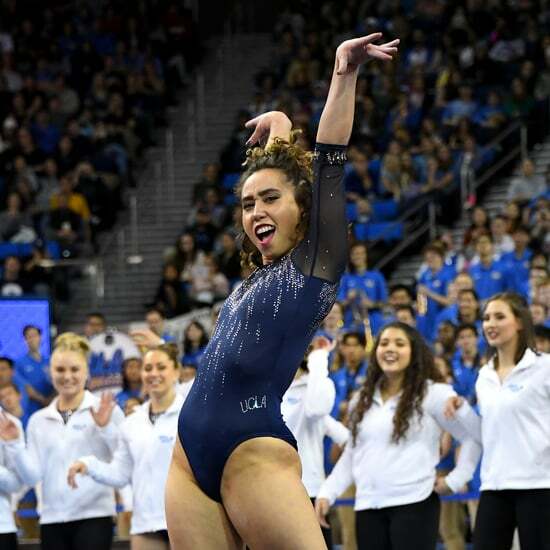 Anna Mason, RDN, said she eats almond butter toast every day at 8 a.m. as a way to get her healthy, plant-based fats. 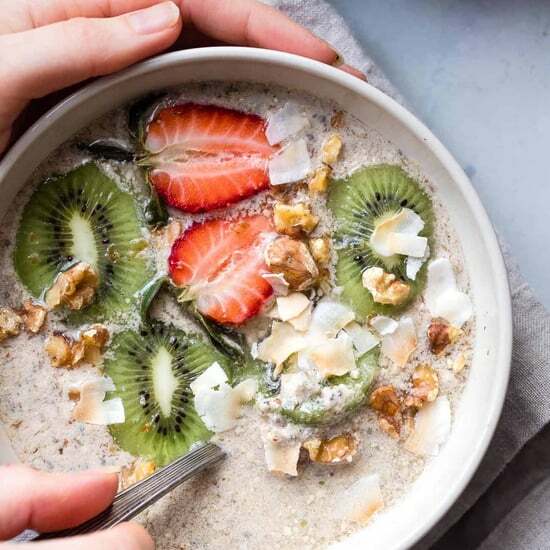 The ingredients are simple and clean, and it has a little boost of fiber along with the healthy fats to keep you full. "I recently discovered the wonders of jackfruit as a meat substitute," Suzanne Fisher, MS, RD, LDN, told POPSUGAR." It mimics the texture of pork and has fooled quite a number of my meat-loving guests. 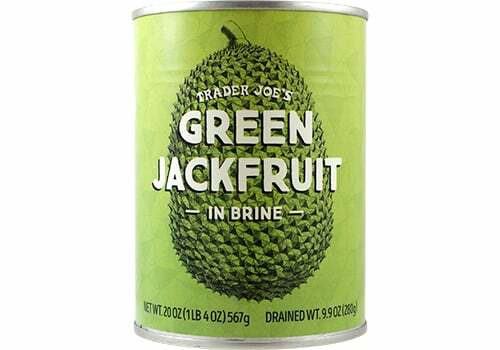 It is no shocker that Trader Joe's comes through once again with a no-hassle canned version, making experimenting with this amazing fruit that much easier." 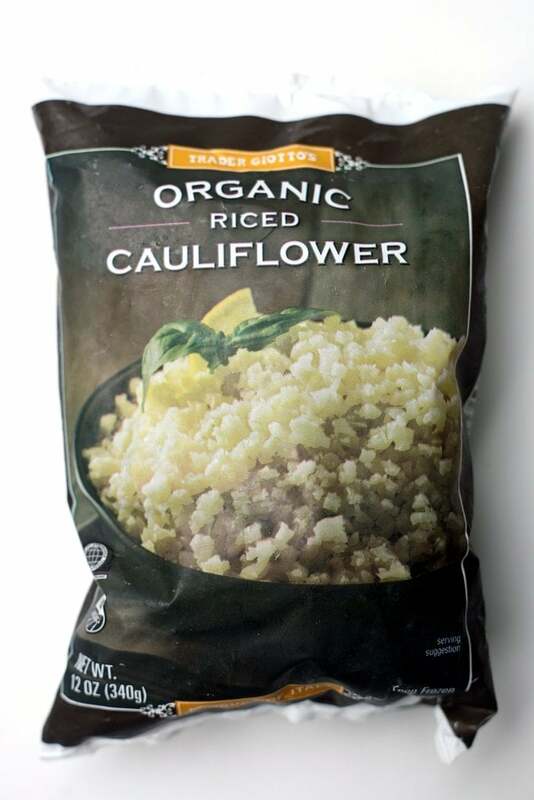 Julie Harrington, RD, loves the frozen riced cauliflower. 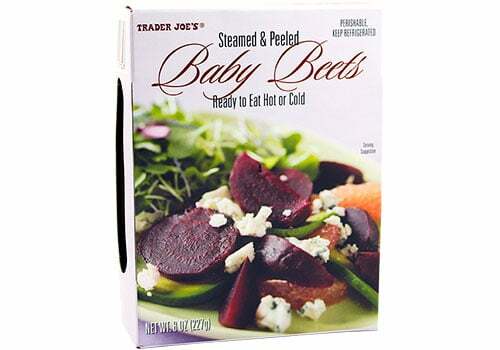 It's "convenient and a great option to increase veggie intake for a quick stir-fry," she said. 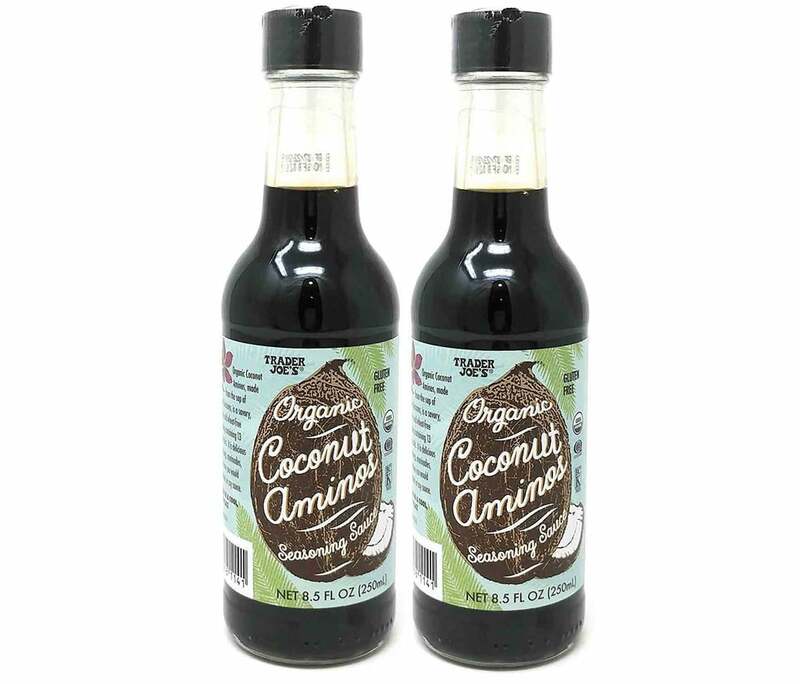 "Coconut aminos seasoning sauce is an excellent soy- and gluten-free swap for soy sauce," Suzanne told POPSUGAR. "This flavorful sauce is also lower in sodium than traditional soy or tamari sauce." Kaleigh McMordie, MCN, RDN, LD, registered dietitian and the founder of Lively Table, recommends the dark chocolate peanut butter cups. 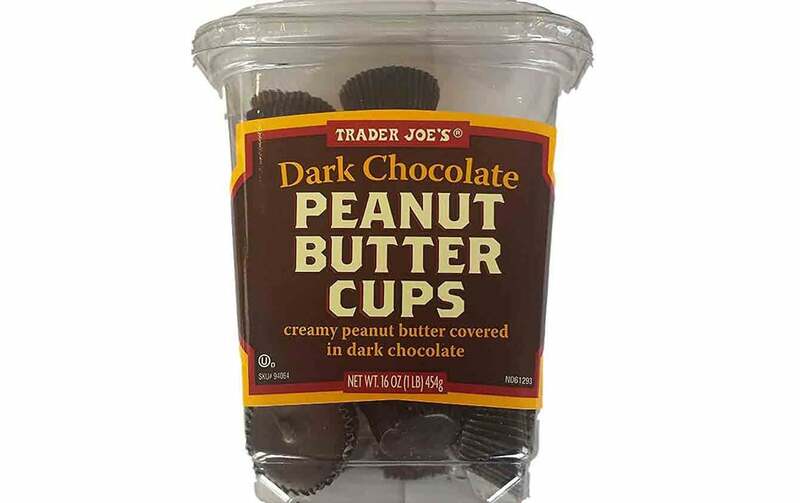 At just 67 calories and six grams of sugar per cup, they are an easy preportioned way to satisfy your sweet tooth. "I love the ease of just opening a package of beets and slicing them into salads, tossing with whole grains, or pureeing into hummus. It's so much faster and less messy than roasting raw beets!" 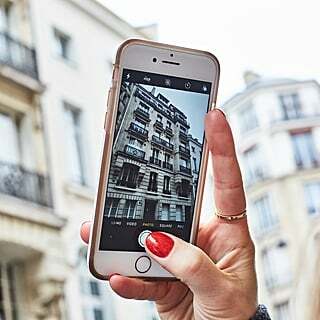 Jessica Levinson, MS, RDN, CDN, told POPSUGAR. "I always keep a package of these in my refrigerator and freezer." 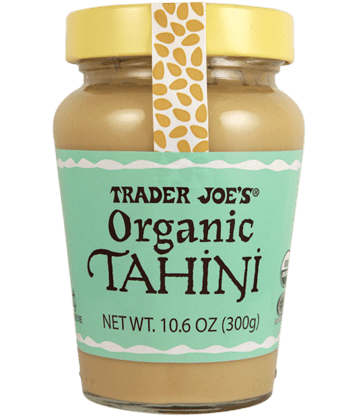 Hillary Goldrich, MPH, RD, LDN, recommends the organic tahini. "It's a great addition to vegetables, salad dressings, and if you're making your own hummus," she told POPSUGAR. "It's packed with healthy fat, protein, and fiber." Julie also likes the stir-in ginger paste because it saves time when cooking. "Ginger is a fantastic flavor enhancer, plus it has antioxidant benefits," she told POPSUGAR. 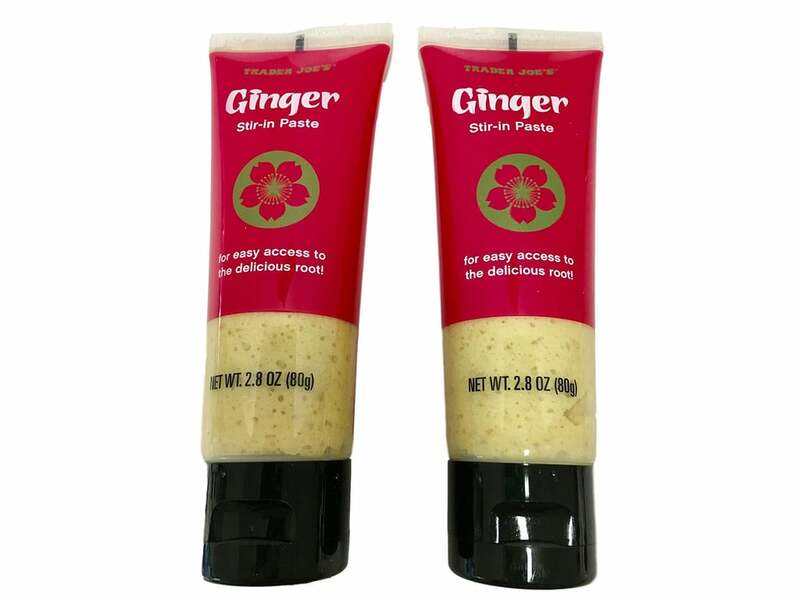 "I love adding ginger paste to sauces, salad dressings, and marinades as well as smoothies and muffins!" 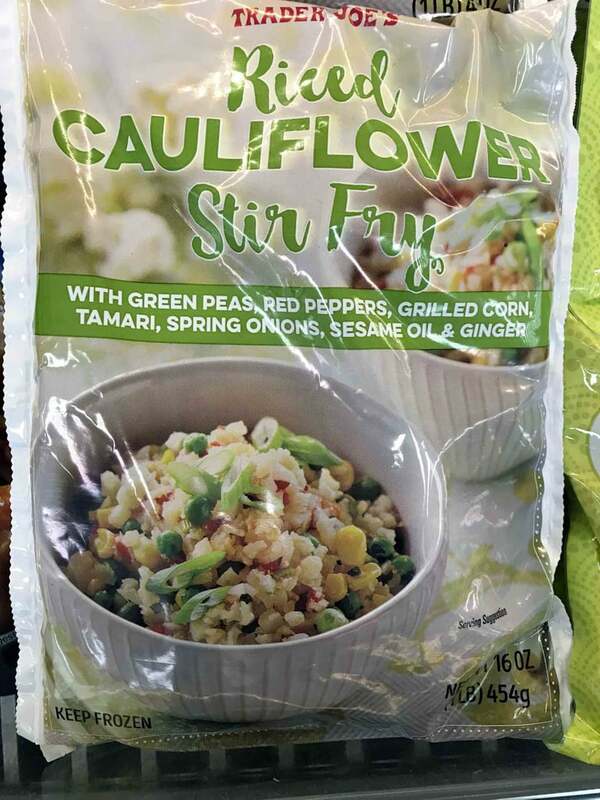 Another winner in the freezer department is the frozen riced cauliflower stir-fry; it's a favorite of Hillary's. "Add a bit more ginger, a dab of hot sauce, and some protein for a complete meal," she said. 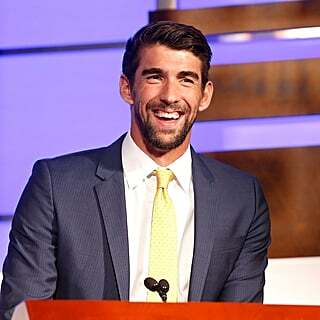 "It can also be bulked up with a half cup of rice." 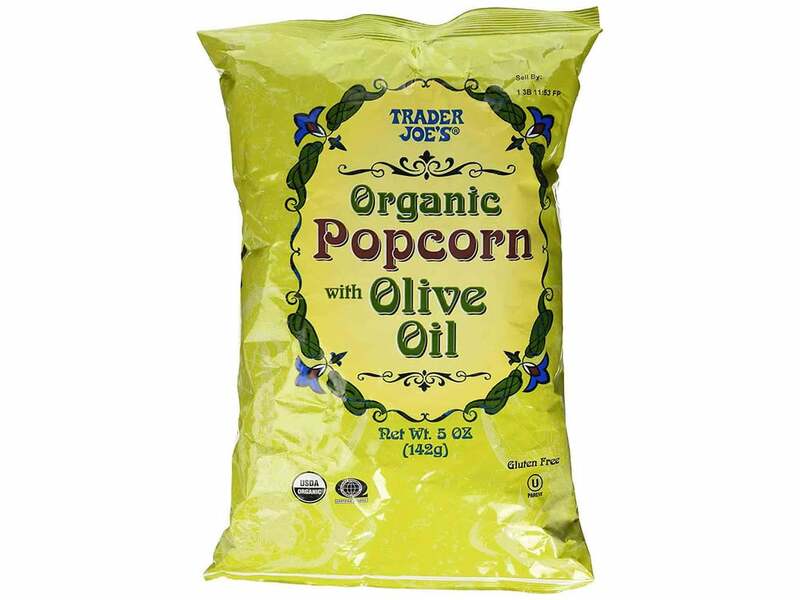 Dena Norton, MS, RD, LD, holistic dietitian and nutrition coach at Back to the Book Nutrition, recommends Trader Joe's olive oil popcorn. 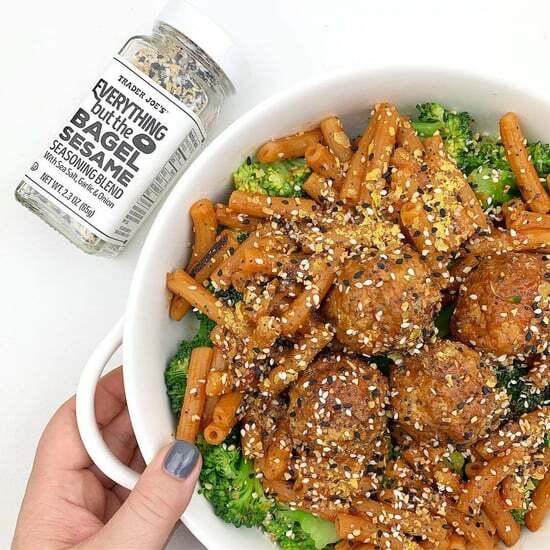 "Don't get fooled by pseudo-healthy snacks with added preservatives, flavors, both artificial and natural, and heavily refined ingredients like canola oil, refined sugars, and syrups," she told POPSUGAR. "I always encourage clients to go straight to the ingredient list to find out whether the product is truly healthy." Since this popcorn's ingredients are simply organic popcorn, organic extra virgin olive oil, and sea salt, it's a winner. 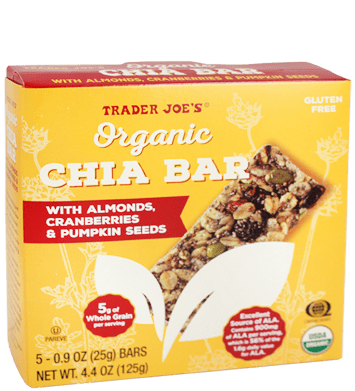 "Organic chia bars are everything you would want in a bar: low-sugar, high-fiber, and low in calories," Suzanne said. "These are top on my list of client recommendation for a quick grab-and-go snack or pre-workout." 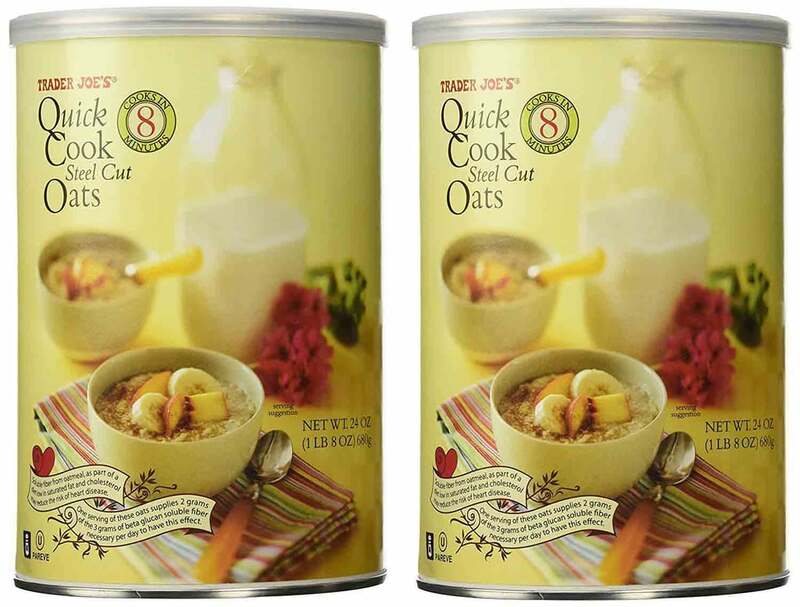 Kaleigh recommends the quick-cook steel-cut oats. At 150 calories, four grams of fiber, and five grams of protein per serving, it's a healthy way to start your day. 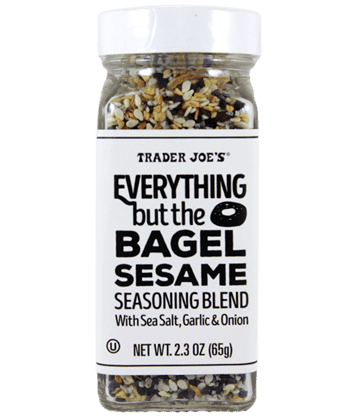 Kaleigh also recommends the everything but the bagel seasoning, which is a blend of sesame, sea salt, garlic, and onion. It's the perfect topper for avocado toast or to season chicken. 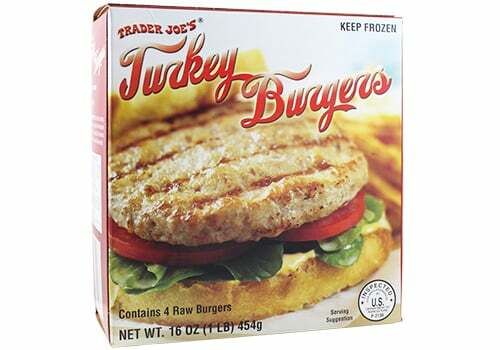 "These individual turkey burgers are a quick and versatile source of lean protein," Edwina Clark, MS, RD, head of nutrition and wellness at Yummly, told POPSUGAR. "They can be defrosted and crumbled into soups, stir-fries, cauliflower rice bowls, or served whole on top of a salad, or on a whole grain bun. Consuming small amounts of protein throughout the day is important for maintaining muscle mass and boosting satiety." 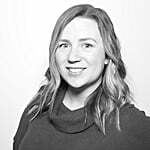 Tanya Freirich, MS, RD, CDN, recommends the cauliflower gnocchi, which just hit stores this Spring. 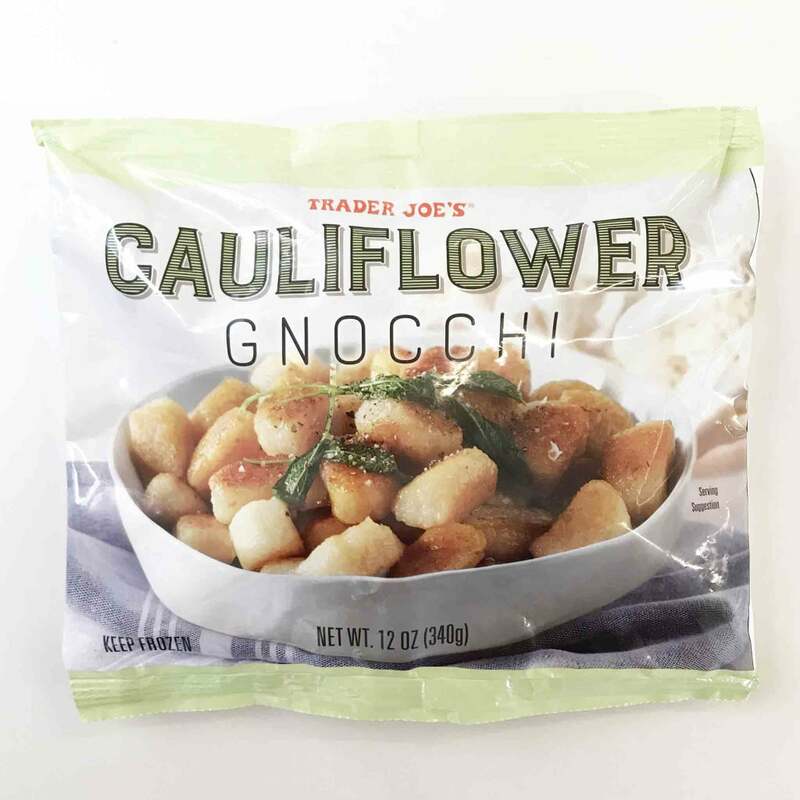 "This vegetable-containing gnocchi is fluffy and delicious and hits the spot when I'm craving a gluten-free pasta option," she told POPSUGAR. 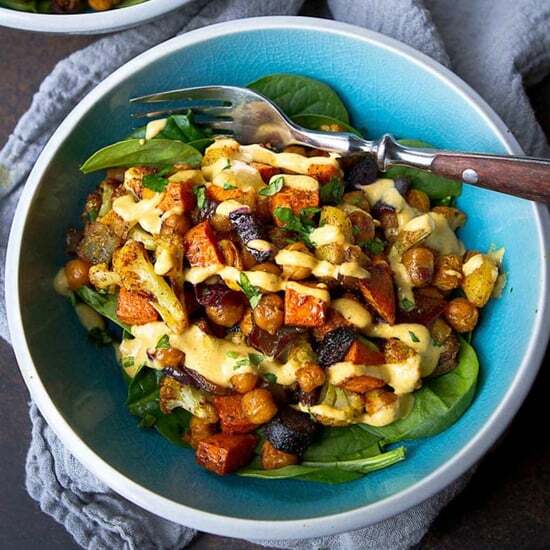 "A portion is only 140 calories and 22 grams of carbohydrates, compared to its potato cousin that's around 250 calories and 32 grams of carbohydrates! I pair mine with a hearty vegetable and ground turkey bolognese, lots of onions, peppers, zucchini, eggplant and tomatoes, and just a bit of ground turkey for lean protein."